What looks better on a cupcake: A Peep or a live chick? Plus a Peeps tasting review. They were ecstatic to discover that their “mystery tasting bowl” had actual candy under it (instead of cod liver or quail eggs). The candy was so colorful! The Half Pints shocked even their mother by declaring the candy “too sweet.” I might expect that from Frederick (13) but I am not sure that Alastair (7) has ever tasted anything he deemed “too sweet” before this tasting. Let it be known that Cadbury Eggs are beyond Alastair’s limit. I know they are far beyond mine. 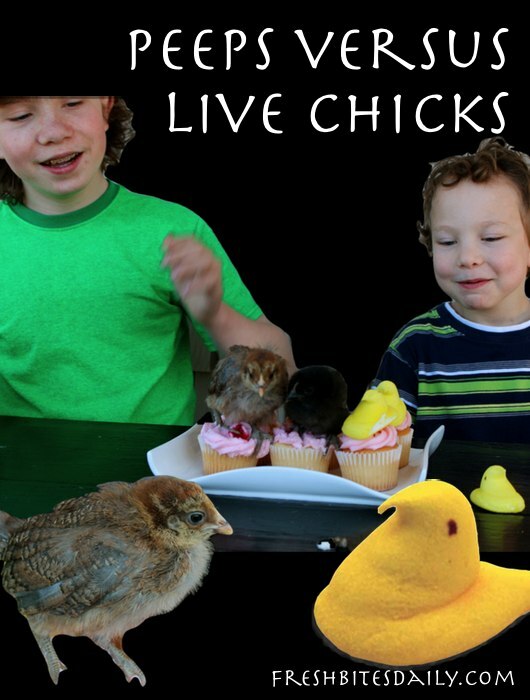 Tasting aside, these kids don’t think Peeps look anything like actual chicks. They would know. They have a chicken coop full of them right now. They compare them for you. What looks better on a cupcake: A Peep or a live chick? 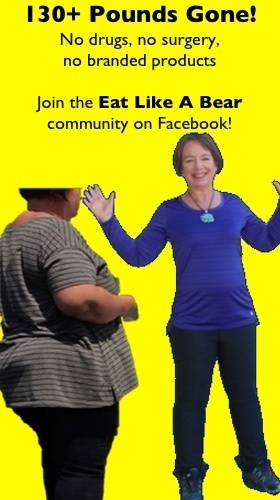 Taking it a step further, what does a chicken think of Peeps?